The USA is full of volcanoes, check out the most dangerous of the bunch. The United States is one of Earth’s most volcanically active countries, having within its territory more than 10 percent of all known active and potentially active volcanoes. These geological time-bombs cover a huge portion of the nation, extending from arctic Alaska in the north to tropical American Samoa south of the Equator, and from Colorado in the east to the Northern Mariana Islands in the western Pacific. Since 1980, there have been 120 eruptions and 52 episodes of notable volcanic unrest at just 44 US volcanoes. When erupting, all volcanoes pose a degree of risk to people and infrastructure, however, the risks are not equivalent from one volcano to another because of differences in eruptive style and geographic location. But at the end of the day, the question still remains, which Volcanoes are the MOST dangerous? Well, wonder no more. Here is our list of the most dangerous volcanoes in the United States based on their USGS Volcanic Threat score. Plan your adventure hikes accordingly. *Note: despite its massive size and what you may have heard, The Yellowstone Caldera will not be making this list because the US Geological Survey does not consider it an "active or potentially active volcano" as it has not erupted in the Holocene era- the last 11,700 years. They instead consider it a "notably large and long-lived caldera system". However, even if it were considered for this list, because of the extraordinarily long intervals between eruptions, it's overall threat score would barely crack 115, which is far below our list's lowest-ranked volcano. So no mean comments about how we forgot it! This volcano experienced a significant eruption as recently as 1992. Since 2004, the mountain has been reawakening, experiencing elevated levels of seismic activity and CO2 and SO2 emissions. Most worryingly, a melting pit has developed at the summit, signaling extremely activity inside. Being only around 50 miles from Anchorage, Alaska’s largest city, makes Mount Spurr a major threat. Located in the Aleutian Islands, what makes this mountain such a threat is its location and size. A worst-case scenario eruption would mean certain death for the isolated communities nearby and could disrupt vital trade and travel routes for months. It experienced a small eruption in 1995 but has been seeing increased activity since 2001. Less than 50 miles away from Makushin, Akutan is in much the same boat. Only Akutan has been worryingly silent after a period of extreme activity between 1980 and 1996, which is a worrying situation for volcanologists worried about building pressure. Though no eruptions have been recorded in modern history here, the South Sister has been a hotbed of warning signs since 1998 with recurrent earthquake swarms and growing geological uplift. Overall, it’s beautiful but potentially deadly for the idyllic resort towns and chalets that pepper its fallout area. Mount Hood had been experiencing earthquake swarms with increasing frequency since the middle of the 20th century before going mostly quiet in the last 15 years. Scientists know that it is still very much active, however. And what makes Mount Hood’s score especially high is the volcano’s close proximity to the two most populous metropolitan areas in the Pacific Northwest. An eruption here could be catastrophic. Though the last significant eruption of Mount Shasta was around 250 years ago, it is nearing due for another one and the presence of periodic fume vents tell us that it is still very much an active volcano. The mountain’s unique geology is also what makes it a serious threat to the surrounding towns as the hard rock could plug the building pressure until it becomes truly explosive, burying the surrounding area in pyroclastic flows and lahars, or even completely collapsing into itself like Mount Mazama in Oregon. Big, volatile, and close to big cities, it would not be wise to doubt (har, har) this volcano. It has erupted at least 4 times in modern history, most recently in 2009. Each of these eruptions produced massive ash clouds and enormous lahars due to the rapid melting of the mountain’s massive glaciers. On sheer activity alone, we’d suggest you admire this mountain only from afar. Mount Rainier hasn’t erupted since at least the 1890s, however, it has extremely regular seismic activity. 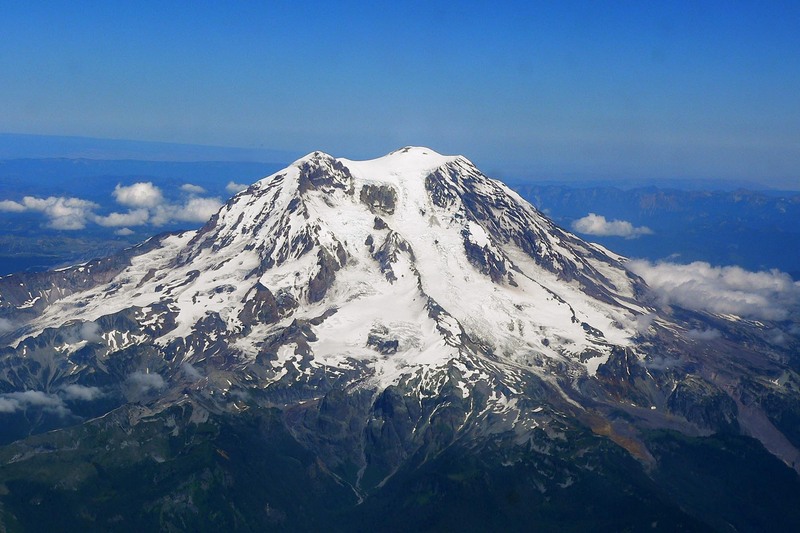 Scientists believe that an eruption here with the power of the 1980 Mount St. Helens eruption would have a cumulatively greater effect because Rainier is significantly larger, surrounded by dense populations of people, and holds massive amounts of lahar causing glacial ice. In fact, the last estimate showed over 150,000 people living on old lahar deposits from past eruptions, meaning that even a relatively weak eruption could still lead to catastrophic losses of life. The most active volcano in the conterminous US, Mount St. Helens has erupted three times in the last 30 years. But it’s the eruption of 1980 that you’ve probably heard of, where nearly a third of the mountain was blown away in the largest landslide ever recorded, ash-covered cities hundreds of miles away, and at least 57 people died. Unfortunately, Mount St. Helens shows no signs of going quiet and will continue to be a threat for the foreseeable future. Though not as explosive as some of the volcanoes on this list, Kilauea is still undoubtedly the most presently dangerous. Located over a “hot spot” in the Earth’s mantle, this volcano has been erupting continuously since 1983 (and sporadically before then too). But just because it is spewing rock doesn’t mean that pressure might not still be building, and as we saw earlier this year, more violent eruptions are still possible at any time. 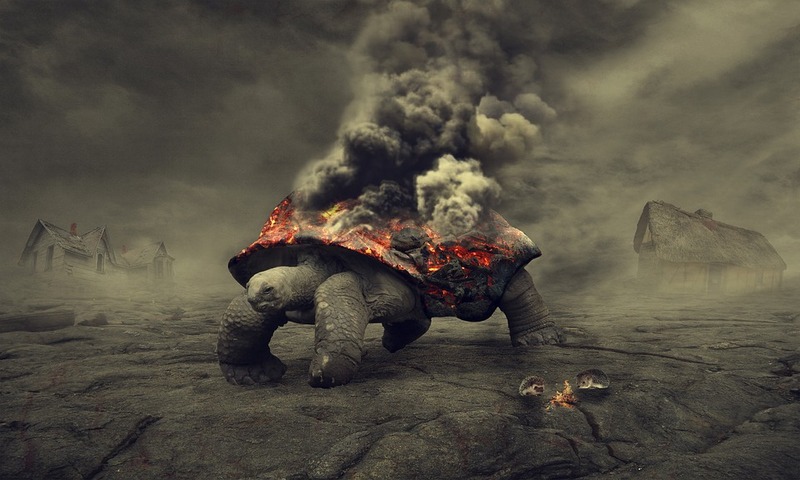 And on such an isolated and highly populated island, eruptions of any size can quickly become a lethal problem.